Al Jazeera English, the BBC News Channel and Sky News will do battle for the title of news channel of the year at this year’s RTS journalism awards later this month. BBC News at Ten, Newsnight and Channel 4 News are shortlisted for news programme of the year at the awards, which celebrate excellence in UK television news and current affairs. 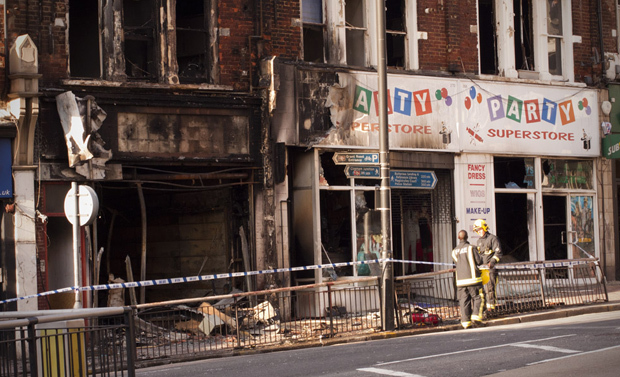 Two rival channels’ coverage of last summer’s riots are nominated for home news story of the year – Sky and Channel 4 – alongside Newsnight’s reporting of the phone hacking story. The nominees for TV journalist of the year are Sky’s Alex Crawford, Channel 4’s Alex Thomson and Newsnight’s Richard Watson. This entry was posted in Broadcasting, Journalism and tagged broadcast journalism, phone hacking, riots, rts awards, television on February 8, 2012 by Paul McNally. The Metropolitan police is to apologise to some of the victims of phone hacking for failing to inform them during its initial investigation in 2006 and 2007. The high court ruled today that the force had “breached a legal obligation” to the claimants, including John Prescott and MP Chris Bryant. 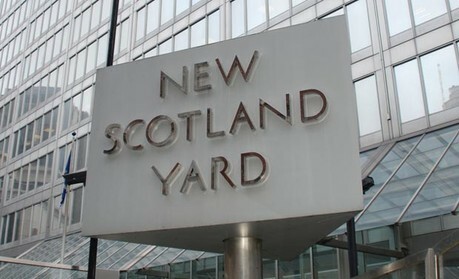 The Metropolitan police said in a statement today that it “accepts more should have been done by police in relation to those identified as victims and potential victims of phone hacking several years ago”. The force said it would be apologising personally to each claimant. It is a matter of public record that the unprecedented increase in anti-terrorist investigations resulted in the parameters of the original inquiry being tightly drawn, and officers considered the prosecution and conviction of Clive Goodman and Glen Mulcaire as a successful outcome of their investigation. There are now more than 130 officers involved in the current phone-hacking inquiry (Weeting) and the two operations being run in conjunction with it and this in part reflects the lessons that have been learned about how police should deal with the victims of such crimes. Today’s settlement does not entail damages being paid by the MPS and as the court has made clear, sets no precedent for the future. How the MPS treats victims goes to the very heart of what we do. It was important that this case did not result in such a wide duty being placed on police officers that it could direct them away from their core purpose of preventing and detecting crime. This entry was posted in Journalism and tagged Metropolitan Police, phone hacking on February 7, 2012 by Paul McNally. The Financial Times is reporting that the launch of a Sunday newspaper “to replace the News of the World” has been delayed due to the arrests of News International journalists at the weekend. On Saturday (28 January), four current and former Sun journalists were arrested by officers working on Operation Elveden, the Met team looking into illegal payments to police. The FT reports that a launch date of 29 April had “been set in stone”. Journalism.co.uk heard late on Friday, the day before the arrests, that the launch date had been brought forward. 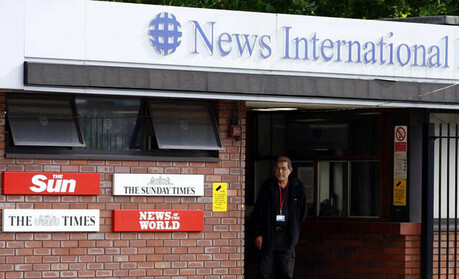 The insiders said that managers of News International had decided that the adverse publicity surrounding the arrests and the suspension of the four journalists while police inquiries were going on would hamper any possible launch of a new title, which earlier reports said would be called the Sun on Sunday. The article includes a comment from anonymous insiders, plus an interview with former chief reporter at the News of the World Neville Thurlbeck. Mr Thurlbeck said that an internal group, the management and standards committee, set up at the direction of Rupert Murdoch to co-operate with a police investigation into phone hacking at the News of the World, had handed over so much material that it had lost control of the situation. The FT adds that News International declined to comment. The full Financial Times article is at this link [part-paywall]. This entry was posted in Business, Newspapers and tagged neville thurlbeck, News of the World, phone hacking, sun, The Financial Times on January 31, 2012 by Sarah Marshall. The number of possible phone hacking victims is now close to 5,800, the Met police have confirmed. This is 2,000 more than previously stated by the force. It is not possible to give a precise figure about the number of people whose phones have actually been hacked but we can confirm that as of today’s date, 3 November 2011, the current number of potentially identifiable persons who appear in the material, and who may therefore be victims, where names are noted, is 5,795. This figure is very likely to be revised in the future as a result of further analysis. See the full story on Guardian.co.uk at this link. This entry was posted in Editors' pick, Newspapers, Press freedom and ethics and tagged Met Police, News of the World, phone hacking, Scotland Yard, The Guardian on November 4, 2011 by Joel Gunter. We were not able to make it along to the AOP’s digital publishing summit earlier this month, but the Association has helpfully uploaded some coverage from the event. This includes a video published today from a session that looked at a range of topical issues at the moment: “hack gate, public interest, privacy vs openness, the PCC and press regulation”. Speakers from Heat, Digital Spy, Lewis Silkin and Mumsnet joined the panel which was chaired by BBC technology correspondent Rory Cellan-Jones. Particularly interesting parts of the discussion include a need to address the issue of press regulation across different platforms by news publishers and the issue of online anonymity, especially topical given the Joint Committee’s recent report on the Draft Defamation Bill. Last week AOP also posted an article by Cait O’Riordan, Head of Product, BBC Sport and London 2012, in a follow up to her keynote presentation on how the BBC Online is preparing to cover the Olympics next year. This entry was posted in Editors' pick, Legal and tagged AOP, Association of Online Publishers, phone hacking, press regulation on October 25, 2011 by Rachel Bartlett. Former News International and Dow Jones chief executive Les Hinton is giving evidence to MPs on the House of Commons culture, media and sport select committee this afternoon. You can follow his appearance, which he is making via video link from New York, here on Parliament TV. This entry was posted in Legal, Newspapers, Politics, Press freedom and ethics and tagged Les Hinton, News International, phone hacking, select committee on October 24, 2011 by Joel Gunter. The make-up of the panel of the Leveson inquiry, the public inquiry which will examine press standards, media regulations and the phone-hacking scandal, has come under criticism for lacking in tabloid and regional press representation. former chairman of the Financial Times, Sir David Bell. The Guardian reports that Associated Newspapers, publisher of the Daily Mail, as well as Trinity Mirror, the Newspaper Publishers’ Association and Guardian News & Media, raised some concerns about the panel during a hearing today (Wednesday, 28 September). Leveson indicated that he would consider whether to appoint extra advisers in response to Associated’s complaint. The judge said that he would reserve his decision, noting that the “pressures on the Liverpool Echo will be different to the pressures affecting the Mirror and the Sun; different to the pressures affecting the Observer”. Today the inquiry also announced the dates for two seminars in connection with the inquiry, to be held on 6 and 12 October, which will explore some of the key public policy issues raised by its terms of reference and to hear expert and public opinion on those. More details on content and participants will be announced on the inquiry website shortly. This entry was posted in Investigative journalism, Legal and tagged associated newspapers, guardian, inquiry, Legal, leveson inquiry, Lord Leveson, panel, phone hacking, regional press, tabloid on September 28, 2011 by Rachel Bartlett.